Living in an apartment is a popular housing option for many people, especially college students. Apartments in Winona, MN are relatively low-cost and low maintenance as well as offer extra amenities that may not be included in other forms of housing. If you’re searching for your ideal apartment there are some important factors you should consider when looking at renting apartments in Winona, MN. Whether you’re a student living away from home for the first time or a concerned parent helping your child find a place, you should check out different apartments in Winona, MN before making a decision. You may also discuss your preferences with a dependable apartment rental agency such as WsYOU/Bluff City Properties. Location: Compare the locations of the apartments in Winona, MN that you are considering before you make your final decision. Apartments in Winona, MN that are near colleges and universities are a practical choice for students and parents. Quality: When checking the apartments in Winona, MN, you will come across a variety of options and prices, including new, remodeled, bare, or fully furnished apts. Aside from these general characteristics, you should also ask the property managers of the apartments in Winona, MN about their electrical and security systems as well as health and sanitation situations. Price: Quality and affordable apartments in Winona, MN vary in prices, depending on the location, quality, and amenities. Before you make a choice among the apartments in Winona, MN, you should consider your budget and other expenses you might incur when you move into a new place. Property Manager: The landlord or property manager is a big factor when looking for the right apartment among the apts in Winona, MN. Someone who has an excellent reputation and years of experience in properly managing apartments in Winona, MN, like the professional team of WsYOU/Bluff City Properties, can help you find the ideal place for you to live. Having a place where you can live comfortably can help you focus on your studies and handle other responsibilities of your student life. It can also help you adjust to your new life away from home. To select your best option among the apartments in Winona, MN, you may follow these suggestions. Start Early in Your Search for Apartments in Winona, MN: Get a head start in your hunt for the perfect place by browsing apartments in Winona, Minnesota as early as the previous semester before you need to move in. Affordable apartments in Winona, MN may already be booked if you start your search just before a new semester. Request a Tour of Apartments in Winona, MN: Select and compare a few apartments in Winona, Minnesota that you think match your needs. Before you make a decision, you may ask the property managers of the apartments located in Winona, Minnesota to give you a tour of your choices. Live Alone or With Roommates in Apartments in Winona, MN: Do you want to have your own space? Are you willing to share an apartment with a few roommates? These are important questions you should ask yourself when choosing among the apartments in Winona, Minnesota. Reserve Your Final Choice Among the Apartments in Winona, MN: After an exhaustive search for the best place among the apartments in Winona, MN, you should reserve your final choice to make sure that it will not be rented to anyone else. Discuss with your apartment rental agency whether you need to sign a lease and pay a deposit or put the place on hold for a couple days to arrange your finances. Hunting for the best choice among several apartments in Winona, MN can be an exciting experience for students or parents. At the same time, checking many apartments in Winona, Minnesota can be exhausting and confusing. However, it doesn’t have to be the case if you have a trusted apartment rental agency like WsYOU/Bluff City Properties. With a reliable team by your side, you can find your perfect match among the apartments in Winona, MN. Off-campus living is an increasingly popular housing option for many students. This solution lets them cut costs and allot their funds to other college expenses, such as their tuition, school supplies, and books. However, living outside your college grounds does not automatically equal a great lodging experience. You will want to make sure you are renting a student apartment that is clean, well maintained, and functional. You can find that at WsYOU/Bluff City Properties. Based in Minnesota, WsYOU/Bluff City Properties is a premier provider of off-campus housing services. We strive to meet the highest standard of off-campus living, which is why we help improve the lives of our tenants by giving them a secure, comfortable, and neat apartment on a nice property. Our team supports students’ learning and development through athletic sponsorships, scholarships, and paid internships. Whether you are moving out of a college dorm or starting your first year, expect that we will go the extra mile to meet your college housing needs when you rent with us. At WsYOU/Bluff City Properties, the goal is to provide the best rental housing in the Winona area. We do this by providing services with a focus on professionalism, kindness, and consistency. Our staff also works tirelessly to offer the highest level of comfort, security, and privacy while continuously expanding our housing options for a wider range of renters. If you come to us for off-campus housing, we will be with you every step of the way in finding an apartment that meets your unique needs, preferences, lifestyle, and budget. Our student housing office is located at 555 Huff St., Winona, MN and the only one of its kind next to WSU. This allows students of the school to spare time for more learning by walking or driving less, and put money back into their pockets by cutting commuting costs. Our staff headquarters is open full-time, Monday through Friday, from 8 AM to 5 PM. Because we understand that unpleasant incidents can strike without warning, our maintenance team is also on call for assistance 24/7. We want your stay with us to be as hassle-free and comfortable as possible by providing you with immediate help whenever needed. As our renter, you are free to email, call, text, and drop by our office anytime without scheduling an appointment. Our team makes financial contributions for the annual scholarships that are granted to WSU learners in order for their apartment to be more affordable. We annually offer an in-kind scholarship to current tenants, which covers their housing costs for their apartment while studying. Besides giving a financial stipend, our internships offer learners real-world training, knowledge, and experience, which enable them to grow personally and professionally. Participating in our paid on-the-job training also helps boost students’ resume for future employment. WsYOU/Bluff City Properties officially sponsors Winona State University Warrior Athletics. We help WSU maintain academic and athletic excellence by extending financial assistance through the Corporate Partnership Campaign. Are you looking for an alternative to living on campus? 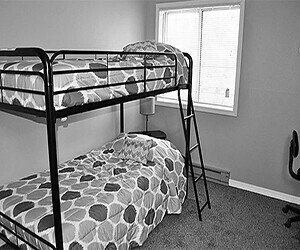 Rent any of our affordable student rental houses and apartments, and join our well-cared-for tenants today. We at WsYOU/Bluff City Properties are dedicated to serving your best interests and giving you a safe and nurturing apartment to stay. Contact us at 507-454-4444.